Chalkboards are no longer just for the classroom. In fact, it seems they are being used less and less in schools and more and more in the home! Has blossomed into a full-fledged design craze. 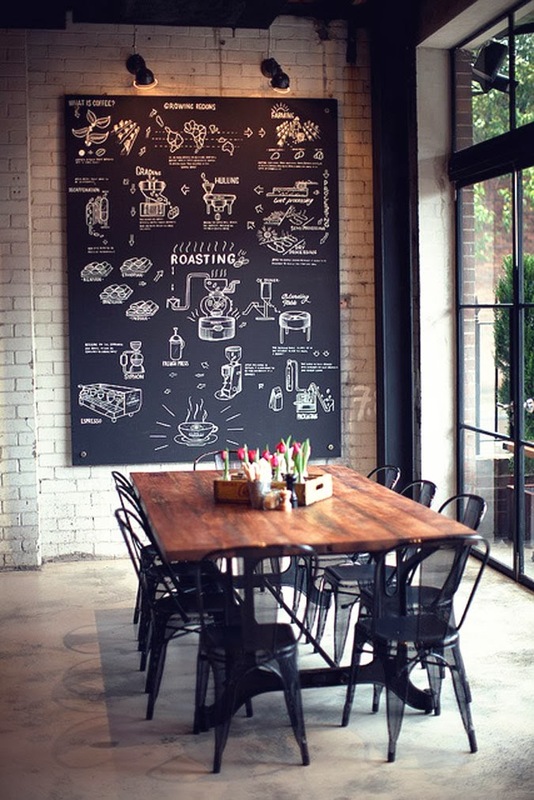 We explore the many ways that chalkboard paint, also known as blackboard paint, can add interest to your home or project for any public venue. A fun way to personalize any space. From my point of view, however, is the black which gives it the charm that we can see in the pictures that follow. The idea is really brilliant because it allows you to create or renew any area in an original way. I’m sure cha after reading this article, in your mind will be flowering dozens of ideas and the desire to try. What about chalkboard paint in the living room? Believe it or not, the design possibilities in this space are endless. Take the room below, which uses chalkboard paint to create a canvas for a drawing of classical pillars. In fact, the architectural sketches create a wallpaper effect, adding dimension to the space. transform an anonymous bathroom in a bathroom design? look at the pictures below and think about how they would be anonymous these baths without the addition of these details.